GeenaMarie Feb 14 2018 1:15 pm An amazing actor! Where are his awards? He deserves so many! Thank you for all your passion and efforts. I am a fan!! delle Jan 19 2018 8:11 am any yoon je moon's movie recommendation? Wayer Dec 25 2016 9:21 am Good actor.. Seen his face in many movies. Last was in the Last Princess.. Always playing villain aha. 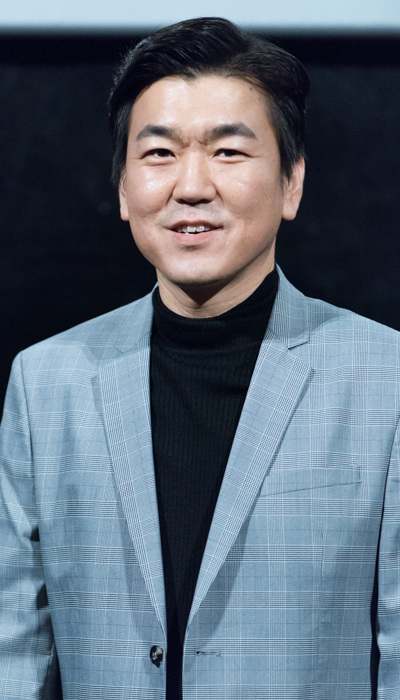 I always confused him with Na PD from tVN. Could've sworn they're twins..? Ozmo Jul 26 2014 11:29 pm Brilliant actor, so believable in K2H. Love watching his characters. Alecx Sep 16 2012 7:32 am He did very well in K2H as John Meyer. thumbs up sir. geom90 May 26 2012 5:00 am @nuno Wow, I really do not understand you. Saying his character is annoying proved that he played the role very well so why would the director need to replace him with someone else?? Momo May 23 2012 3:34 am Although I hate his villain character in the series K2H, I think his great acting and great expressions helped make the show wonderfully suspenseful ! nuno May 16 2012 7:02 am The ugliest and the most annoying character in the King 2hearts. I wish the director had chosen someone else for the John Mayer role. vwin May 02 2012 1:04 pm Height: 180cm.? that's totall bs! he's 165 cm at best, can totally see it in king 2 hearts. moo Nov 19 2011 2:02 pm I'm in love with his face! very versatile actor.